Wing Chun Home Training with Sifu Adam Williss brings The Dragon Institute’s proprietary Wing Chun training to your home! The Dragon Institute’s Wing Chun home training program blends authentic traditional Wing Chun training with a modernized approach including a curriculum specifically designed for the Western lifestyle and mindset. This is old school Wing Chun for the modern world! Let’s face it, 99% of Wing Chun videos on YouTube is full-on CRAP! Garbage from clowns, self-appointed masters with no legitimacy, unqualified advice, inexperienced teachers, showboats and entertainers. Why waste so much time sifting through hours of crappy Wing Chun videos when you can get quality Wing Chun training guaranteed! The quality of The Dragon Institute’s Wing Chun Home Training Program is 100% Full-Money Back Guaranteed! Sifu Adam Williss has been practicing Wing Chun for 24-years! He is the founder of The Dragon Institute, one of the most acclaimed Wing Chun schools in the world. He’s taught thousands of students through his classes, private lessons and workshops. And owns two successful schools in Orange County, CA. Now you have the chance to learn directly from Adam Williss! You’ve seen Sifu Adam Williss’ Wing Chun lessons on YouTube. You see how he describes everything in detail and how insanely knowledgeable he is. This is how teaching should be. Detailed, clear, broken down. Traditional yet not bound by it. Progressive yet with the experience to back up innovation. Imagine what his exclusive training can give you? How would it feel to REALLY know Wing Chun? 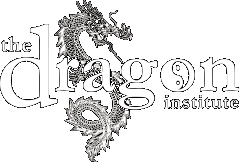 The Dragon Institute’s curriculum, has been specifically designed to be the easiest-to-follow and most logical approach to learning high quality Wing Chun in the world. This is our promise. Now, it takes honest hard work from you and a real commitment to yourself. Contact us today, so we can get you started!